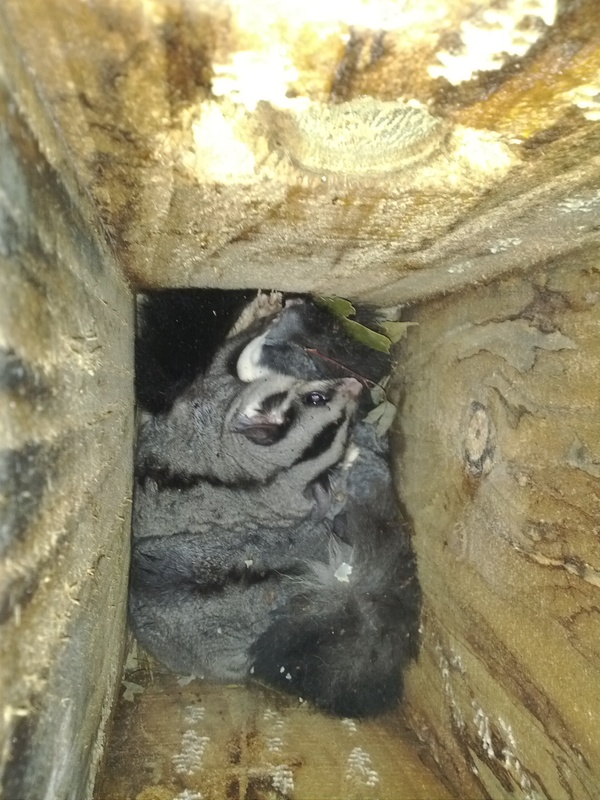 – Mapping of hollow-bearing trees and the 40 nest boxes that were installed a number of years ago and have become home to resident native fauna, including the threatened Squirrel Glider. 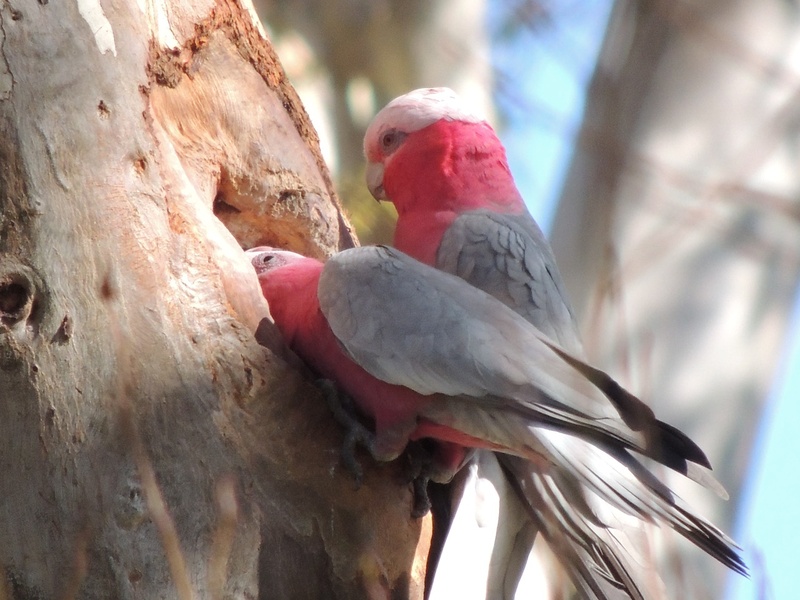 – Construction and installation of an additional 60 nest boxes to be placed around the golf course in areas where there are gaps in the cover of tree hollows and nest boxes. 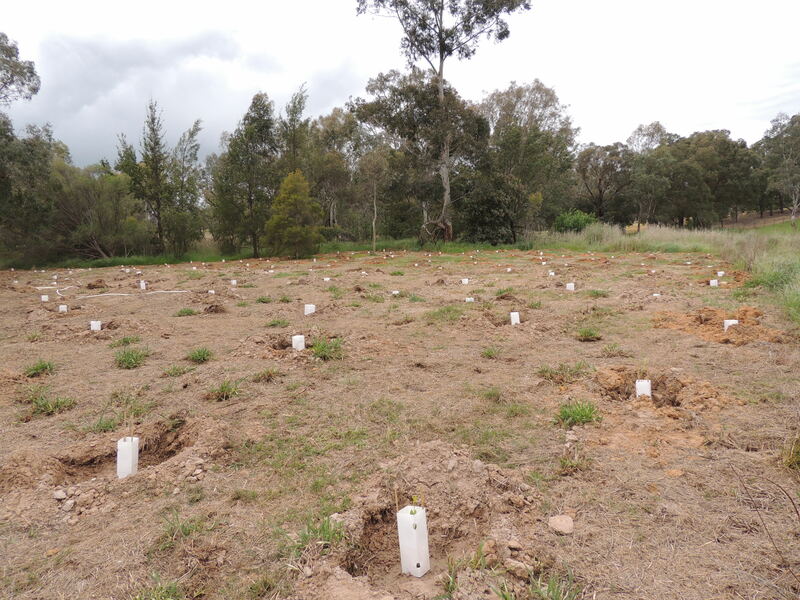 – Revegetation of four areas (approximately one hectare in size) to add to previous planting efforts and further enhance the habitat values of the golf course. 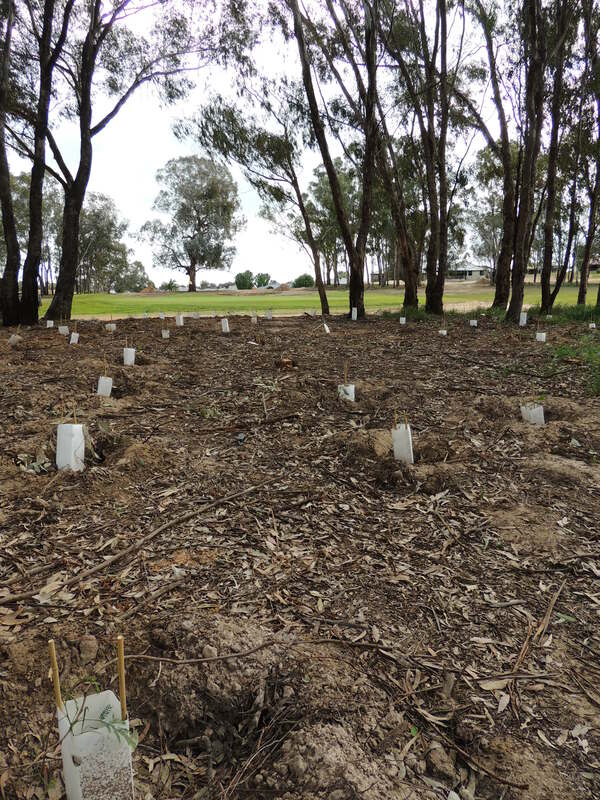 The mapping of hollow-bearing trees and existing nest boxes was undertaken in July 2013 by Parklands Albury Wodonga. In total, over 60 trees were found to have hollows. Also, Squirrel Gliders were found using the nest boxes. 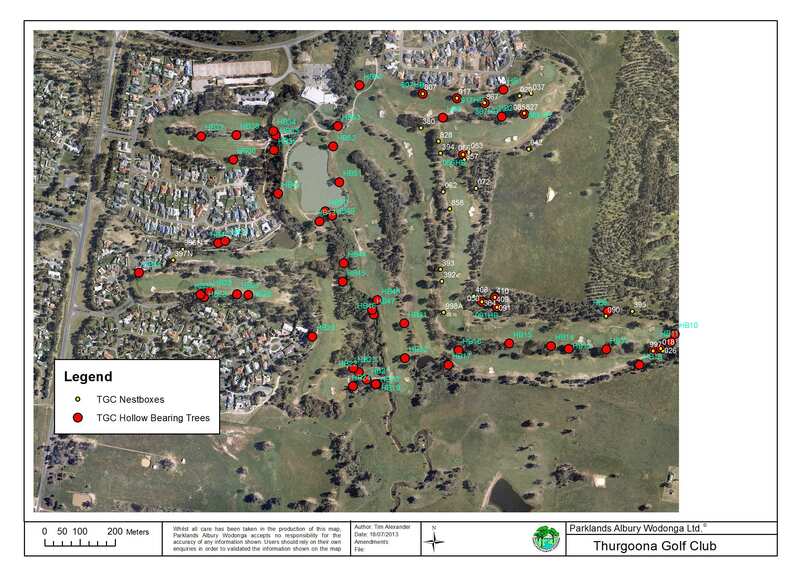 This mapping and data have been provided to the Golf Club. 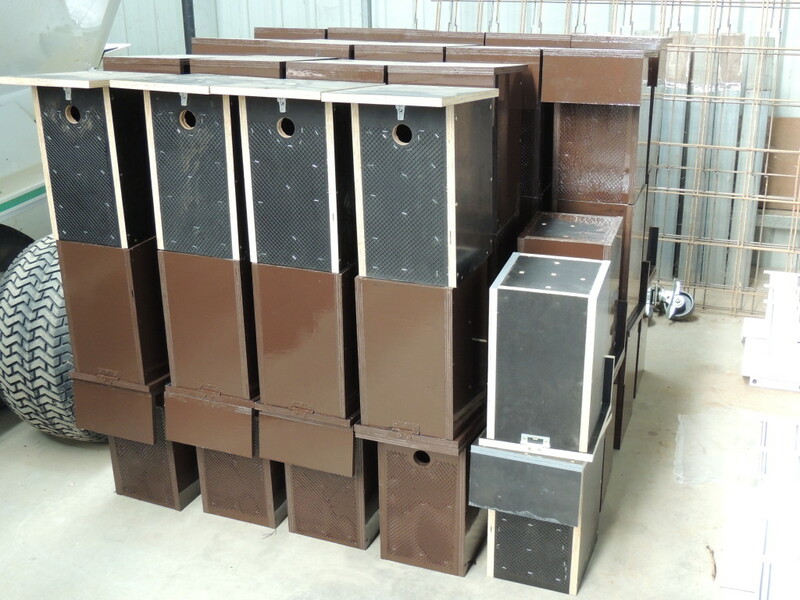 Construction of the 60 nest boxes was completed in December 2013, a magnificent effort by the grounds and maintenance staff using best practise design adopted from Ron Herbert, nest box maker from Baranduda, Victoria. Revegetation of 1,000 indigenous seedlings took place at four sites across the golf course in August / September 2013. The species used were mostly understorey plants, including shrubs and grasses, to enhance habitat values provided by existing vegetation. 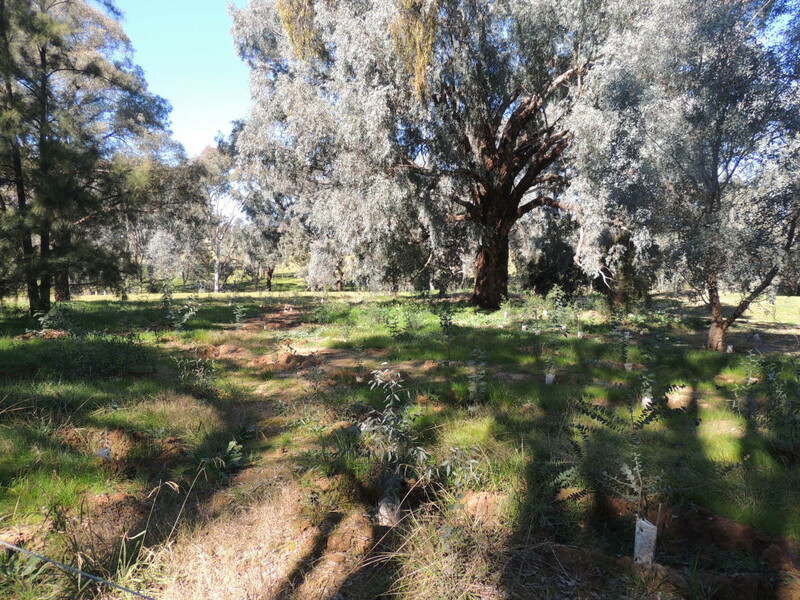 Note: For a list of indigenous plant species from Thurgoona that are suitable for local revegetation click here. The nest box installation was completed in July 2014, almost bringing the project to completion. In the coming weeks the new boxes will be added to the map of hollow-bearing trees and existing nest boxes, and they will be monitored for activity, which hopefully won’t be too far away. Trinity Anglican College in Thurgoona had Squirrel Gliders staring to use nest boxes only a couple of months after installation. Hopefully the baffles (timber awning blocking direct sight of the entry hole) incorporated into the Golf Club’s nest boxes will help to deter Indian Mynas, a pest bird recently seen for the first time in Thurgoona. When these birds muscle their way into hollows and nest boxes once they vacate them they are inhospitable to native species many year after.